This beautifully engraved gun in near-new condition is just in time for the holidays! 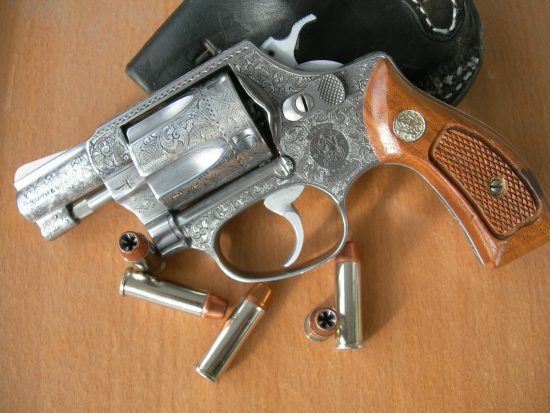 This Model 60 Smith & Wesson, cal. 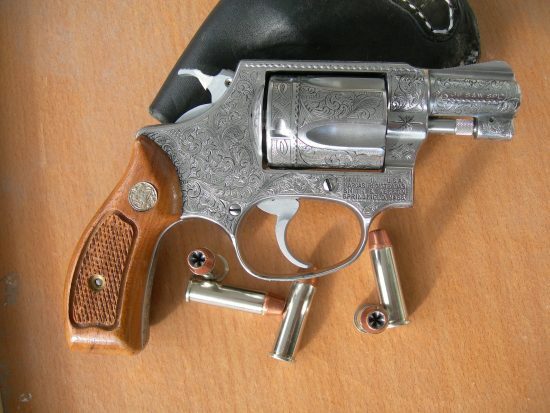 38 special is fully engraved in American Scroll style with walnut grips, 1 small repaired area in grips. This pistol is offered for sale for $1,375 + S/H. 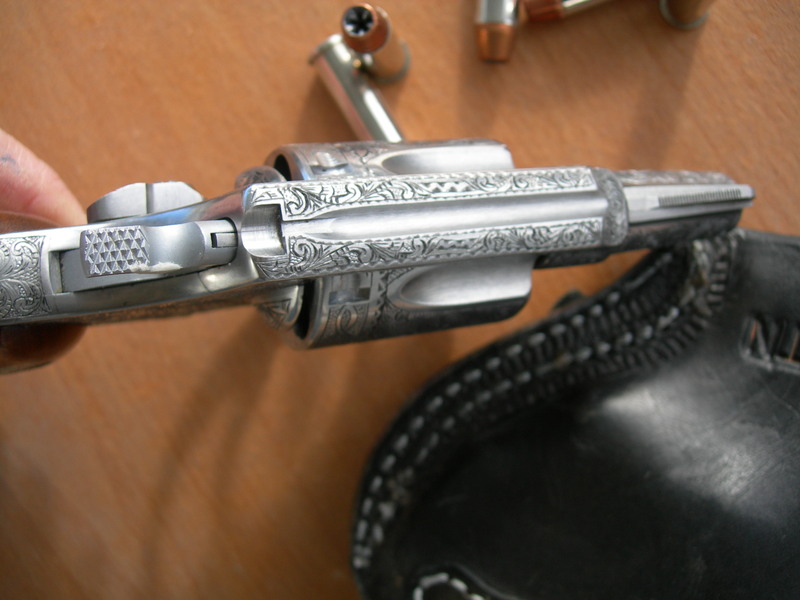 Fully engraved Smith & Wesson Model 60 offered for sale!